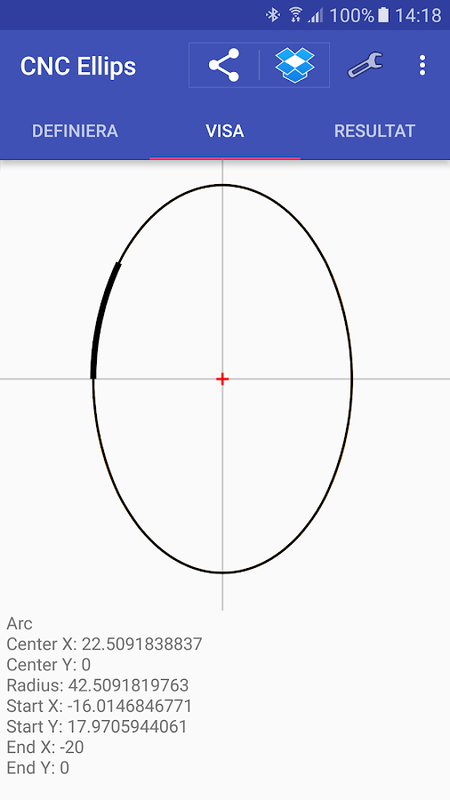 Approximate an ellipse with circular arcs. 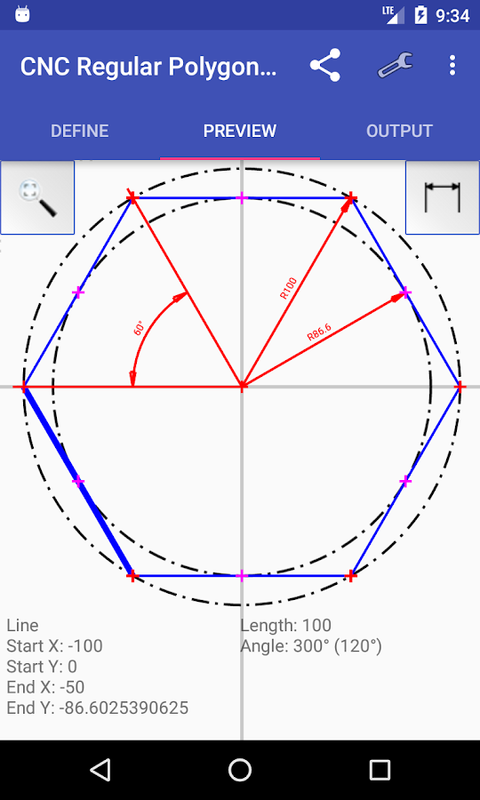 This app approximates an ellipse with arcs and creates a result in CNC g-code (Fanuc, Haas, Siemens etc). 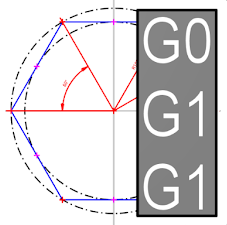 You can specify the numbers of arcs, center point, width and height. 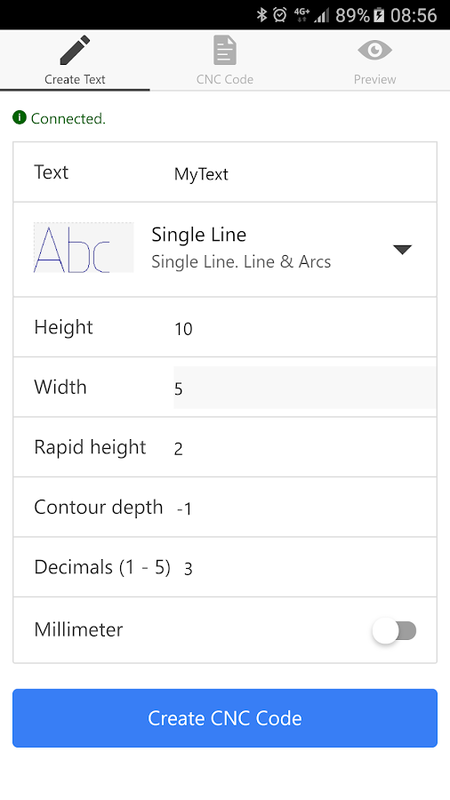 A comprehensive preview where you can select and inspect a specifc arc, or point that you might be interested in. 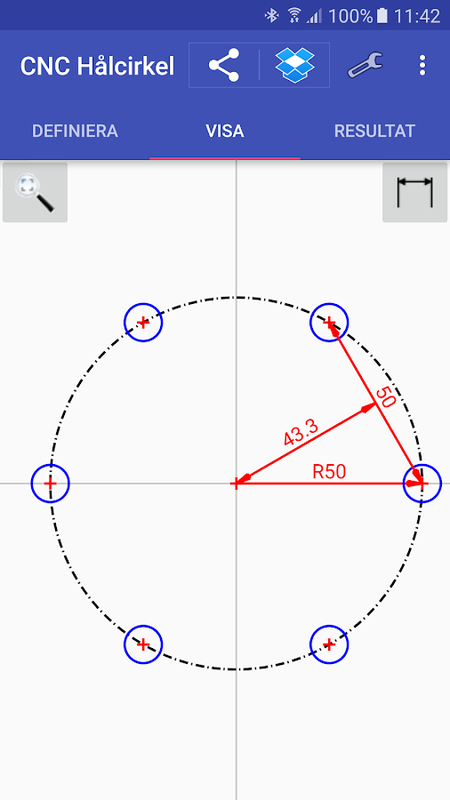 Ever felt the need to quickly calculate a bolt circle at the machine on the shop floop? 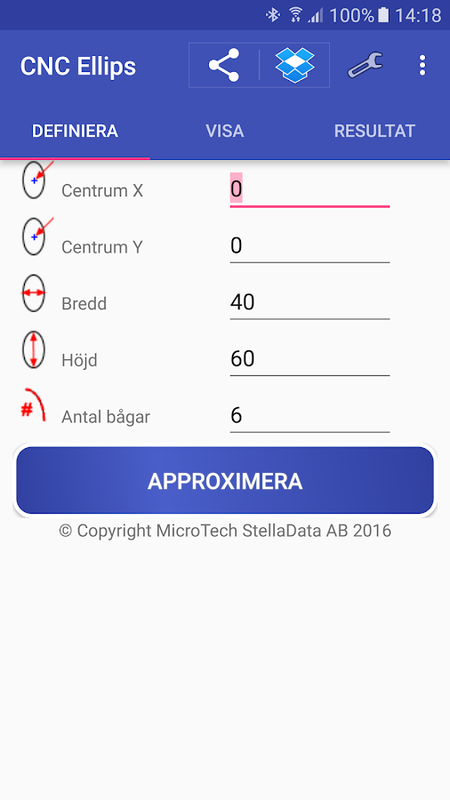 This app will make it easy for you, using it as a calculator. 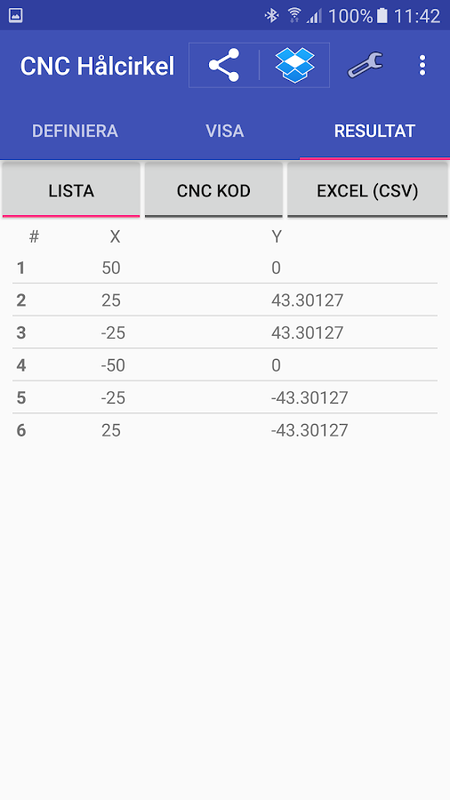 Easy to use and multiple possible outputs, including a simple point list, CNC g-code formatted list and Excel compatible CSV file. 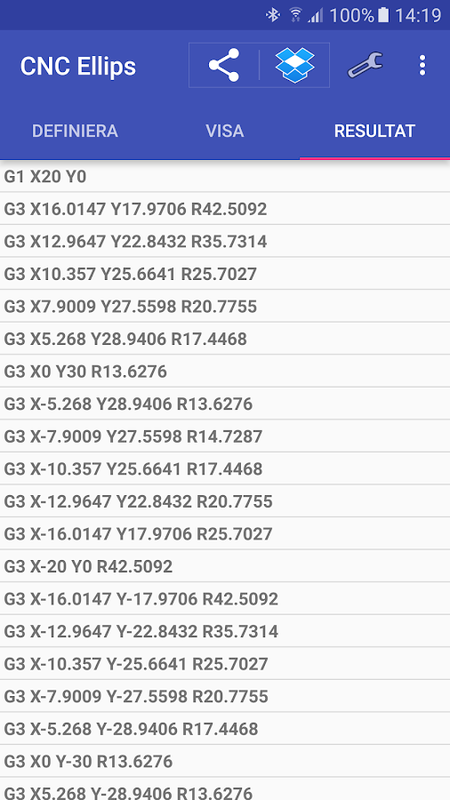 Generate engraving texts in G code for your CNC machine. It has never been easier to create a standard engraved text. 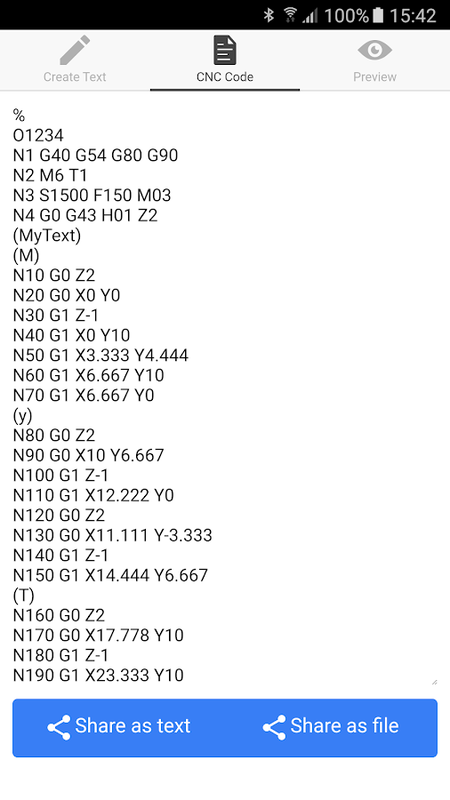 Specify: Text, Height, Width, Font, Depth and the app generates your text in ISO (Fanuc/Haas) G code. Preview and sharing features included. 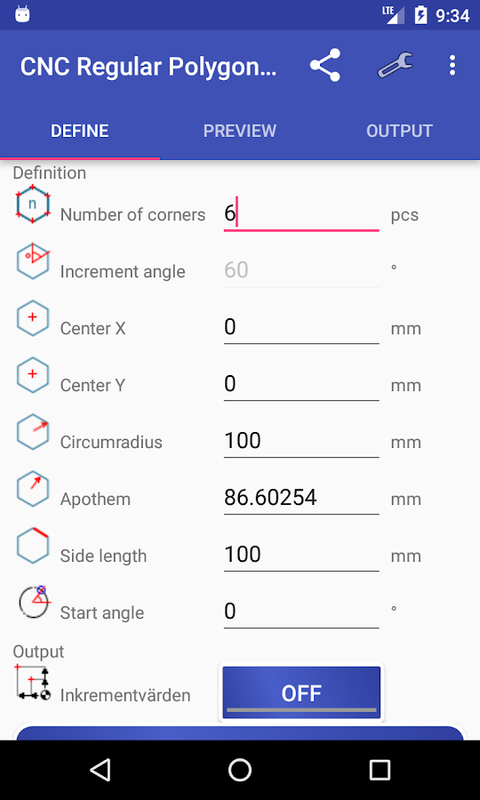 An easy-to-use app for calculating Rectangular Polygons. 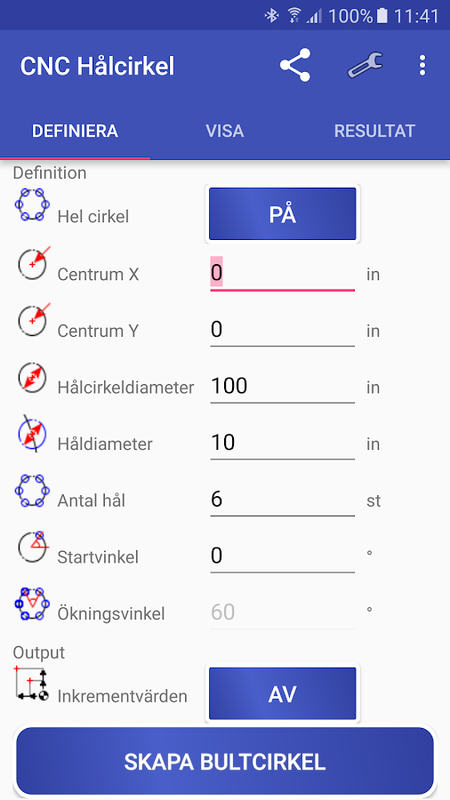 This app will make it easy for you as a calculator. 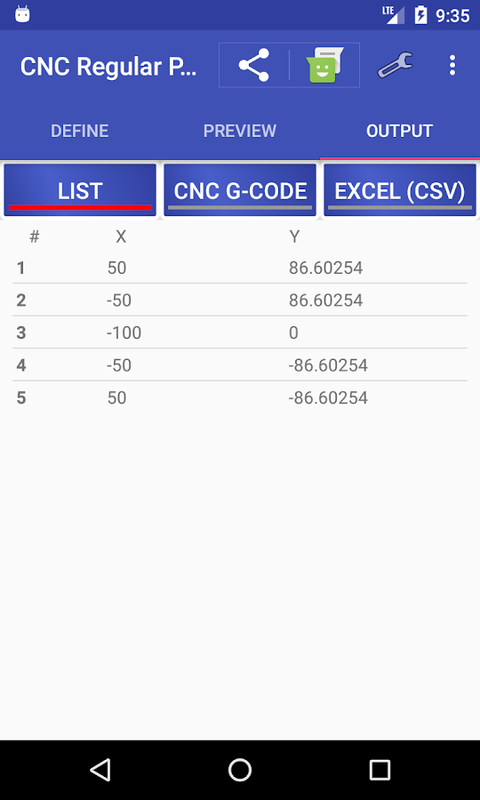 Easy to use and multiple possible outputs, including a simple point list, CNC g-code formatted list (Fanuc, Haas, Siemens compatibel) and Excel compatible CSV file. 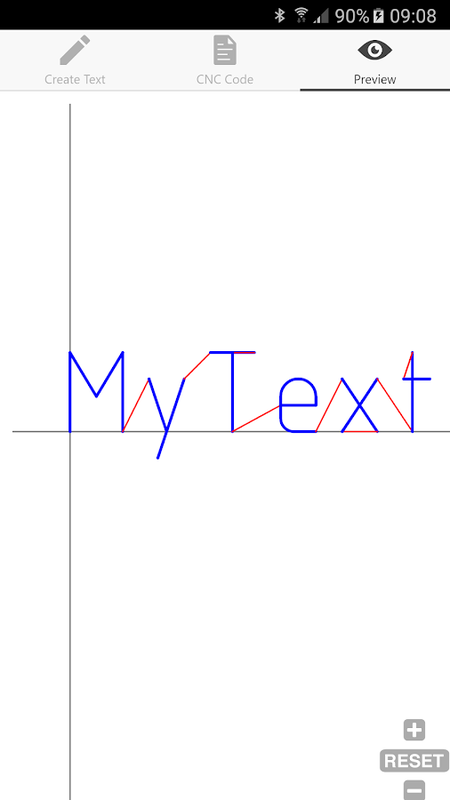 A comprehensive preview for a graphical view with support for sharing as a DXF file.